Apparently, the idiots thought it was a meth lab. The family was lucky the agents didn't get a no-knock warrant and bust in their house in the middle of the night. Several people have been shot or killed on those raids. A Union County family got the scare of their lives on Wednesday morning as drug agents swarmed onto their property. At first, Laura says she thought her son had done something wrong. Then she says she couldn’t believe her ears when she heard the drug agents say this. 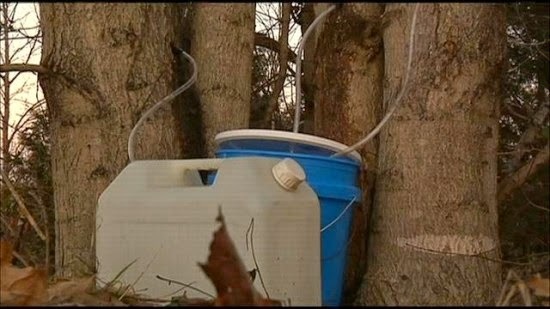 So the Benson’s gladly showed the officers what they really were doing, which was making their own maple syrup.